Children who are new to the country and speak very little English. Children with additional or special educational needs may need extra help and support from us and here at Beech Hill we have a dedicated team of Learning Mentors, translators, support assistants and other adults who, alongside class teachers, will provide support for those children who have additional educational needs. Children who are new to the country, and speak very little English, can have daily sessions with a translator and Learning Mentor to help them develop key vocabulary to help them in everyday school life. These sessions are a key part of their welcome and introduction to life at Beech Hill School. In our school we are very lucky to have a classroom dedicated to children with additional needs. The classroom has been set up to allow children a multisensory approach to their learning. It has a fine motor skills area where there are a variety of activities available to help children improve these vital skills and also incorporates areas for learning through play. We have a full time Speech and Language Therapist who works with children who have difficulties with their understanding of language, use of language, speech (pronunciation), and social communication. His role involves observing and assessing children’s strengths and needs; giving advice and strategies to support their success in school; running 1-to-1 and group interventions to develop children’s communication and language skills; and delivering training to staff to develop their knowledge and enable them to run speech, language, and communication interventions for specific children. To ensure that children’s individual needs are met and the necessary support is given, we liaises with a range of agencies such as the NHS Physiotherapy Team, Speech & Language Therapy Service, Occupational Therapy, Hearing Impairment Team, The Autistic Spectrum Disorder Team and many more. The ability to tell a stories is a key element of everyday communication, Black Sheep groups focus on the development skills to support children’s ability to use narrative. A multi-sensory teaching programme and literacy resource. It supports children to understand the alphabet, letter sounds, key high frequency words and much more. A multi-sensory teaching programme and maths resource. It supports children to understand the basic concept of number, to understand and use the complex maths vocabulary as well as understand the concepts of shape, money, measure and more. Accelerated Maths is simple, the teacher explains a new skill in class, the children log into Accelerated Maths to practice this new skill with unique assignments, once finished they will get immediate feedback. This encourages them to become more involved in their learning. Every assignment in Accelerated Maths helps children to practice the right skills at the appropriate time and pace, leading them towards mastery of the concepts they have been learning. This is a computerised program that aims to offer an alternative approach to learning how to read, write and spell for children with dyslexia or who present with dyslexic tendencies. Lessons emphasise phonemic awareness, phonics, blending, sight words, fluency, spelling, vocabulary and comprehension. Children work through different islands and each island consists of a series of lessons composed of strategy videos reinforced with games, which teach fundamental reading & spelling skills. Is a structured resource to develop both comprehension and expression, of spoken language in young children. 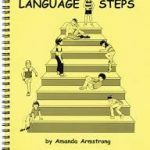 Is a resource that provides clear structure into developing children’s language from the concrete to the abstract. It is based on fifty picture and verbal scenarios that can be used flexibly with a wide range of ages and abilities. Is a structured whole school approach to promote the vocabulary development of all children. Focussed on whole class learning, the resource is of particular value for those who start at a disadvantage – including children with Developmental Language Disorder, Special Educational Needs and those who speak English as an additional language, but it will extend the word learning of all students. Dough disco involves moulding dough in time to music and performing different actions such as rolling it into a ball, flattening it, putting each individual finger into the dough, rolling it into a sausage and squeezing it. This activity helps to strengthen children’s fine motor muscles to enable them to develop their pencil grip which in turn will help to develop their writing skills. But most of all it’s fun! Each year group has a ‘Fine Motor Box’ which is full of activities that children can use to support them with their fine motor skills. It has lacing, threading, weaving, cutting skills, pencil skills, stacking, balancing and much more. Our sensory room is a special room designed to develop a child’s sense, usually through special lighting, music, and objects. It is used by those children with limited communication skills and who need ‘play-based’ learning to support them past their reception year.